Made of naturally beautiful bamboo, the TunePhonik LP Record Holder and Turntable Display Shelf is a compact vinyl record storage solution that gives audio enthusiasts a unique way to organize, display, and enjoy valuable LPs. Its decorative end-table appearance may surprise you as it also includes a grooved-base to vertically stack a combination of 12” LPs, 10” LPs and 45s/7” singles. As any audiophile knows, the number one rule of record storage is to always stack records vertically in order to prevent warping and scratches; this is why our turntable stand features a V-shaped base for upright storage. 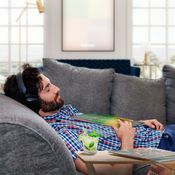 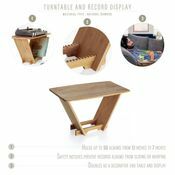 While the bottom stand portion lets you stack up to 50 albums vertically, the-table top can be used to hold your turntable, as an extra surface for displaying album covers or simply a space to place your favorite refreshment on while enjoying your music. A practical, dedicated alternative to storing vinyl, this display stand showcases a beautiful grain finish that blends with any type of décor and is perfect for that special spot in the house where you escape from your digital lifestyle. 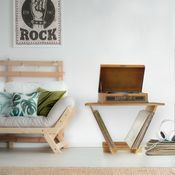 It’s also ideal for small apartments, dorm rooms and other areas where space is at a premium. 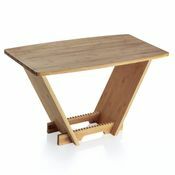 Setup is a breeze, as the stand comes with separate pieces that fit together to create a centerpiece table that is simple, stylish and sturdy. 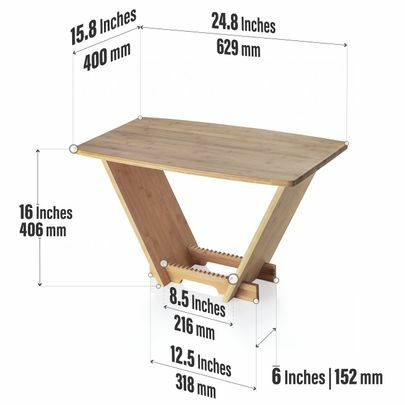 The best part of all - no glue or tools required. 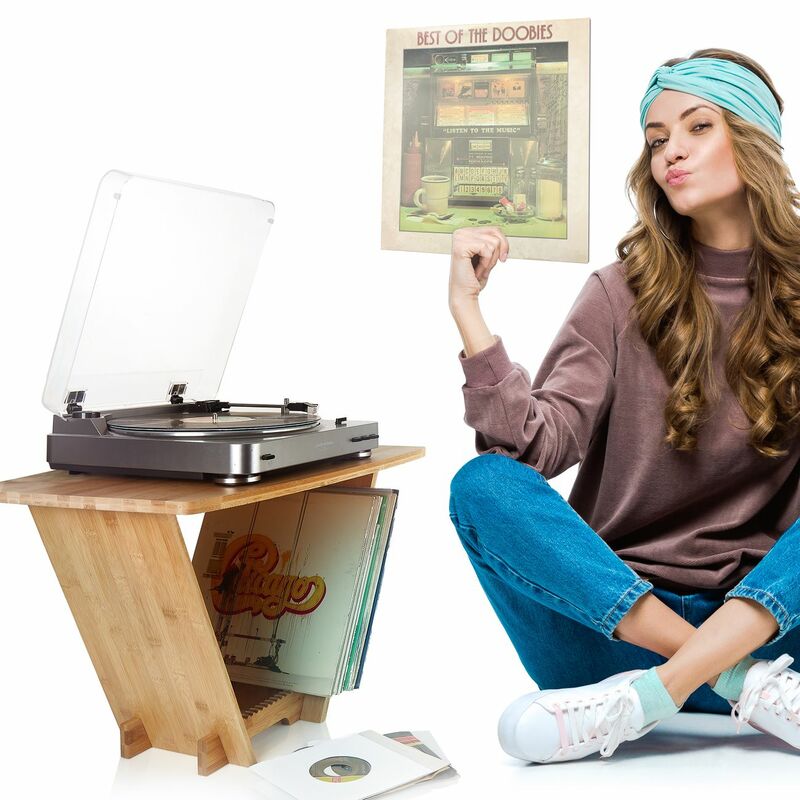 Just place your turntable on top, start an album, hear the crackle of the needle and relax to your favorite jazz quartet or 80s hair band. Why keep your vinyl records and their jackets hidden inside a box or milkcrate? Show off your collection with a table designed to hold both your LPs and turntable while enjoying quick access to your current rotation, so that you can relax to your preferred playlist, over and over again.